The power to inspire, educate and entertain is a winning formula we’re pretty sure any event planner is seeking when deciding on their guest panel at corporate events. Professional speakers are called ‘professional’ precisely because they’ve managed to find a formula that helps them stand out. They’ve also worked on improving it continuously. You’re about to read about 4 of these certified professionals in the art of keynote speaking and understand why you need someone of their caliber to elevate your event. A Certified Speaking Professional (CSP) distinction is a guarantee that the keynote speaker can deliver excellence in their speeches. Carolyn Strauss holds a CSP, but with that said, it’s worth having a look at the reasons why. First of all, she’s a sales specialist, with 18 years of experience on The Home Shopping Network. Secondly, she hosted her radio show, which further helped her improve her flow as a speaker. 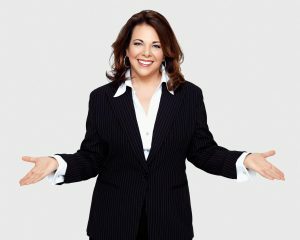 Carolyn’s talks are aimed at sales reps, managers, organizations, and any group of professionals who needs to develop a more proactive mindset. Leadership is one of those skills that’s hard to teach because it mostly depends on the ‘learner’s’ willingness to discover an extra layer of inner resources. The way professional speakers like Philipp Van Hooser approach this is by equipping leaders with the right tools for addressing workplace challenges. With over three decades of speaking experience (a CSP and a CPAE certify that), Philipp is also well-acquainted with the Fortune 500 top-tier companies with whom he collaborated with over the span of his career. Create better conflict management policies. Leadership doesn’t only mean ‘inspiring’ or ’empowering’ employees; it also implies that someone in a leadership position approaches their role from other perspectives, such as inclusion and diversity. Fortunately, to do this, they can choose a professional speaker who is expert on the issue. One such speaker is Lenora Billings-Harris. 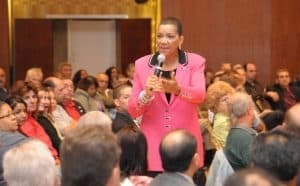 As one of the Global Thought Leaders on Diversity and Inclusion, and former president of the National Speakers Association, Lenora Billings-Harris is an authority in this aspect of thoughtful and inclusive leadership. NASA, Toyota or Marriott International are just a few of the top-tier companies that adopted her views. Most professional speakers are not just masters of public speaking. 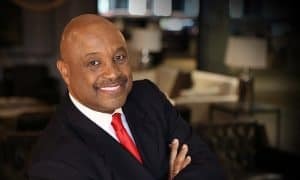 Willie Jolley brilliantly illustrates this profile, being at the same time, an acclaimed author, charismatic media persona and award-winning speaker. Upon hiring him, you’ll understand why he’s been designated as one of the ‘5 Outstanding Speakers in the World’ by the Toastmasters International members. He’ll bring a highly energetic stage presence and deliver insights into how one can build a change-embracing mindset. 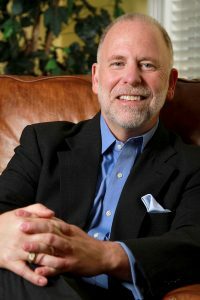 Willie’s discourse is structured on his patented VDAD formula – vision, decision, action, desire – which aims to marry excellence with forward-thinking. We want to conclude by noting an important aspect: the 4 speakers highlighted in this article are in high demand (and not just cross the USA). So if you’re reading this article and would like to book one of them for your event(s), make sure you head over to the contact form here and specify all the necessary details. Side note: don’t miss out on other great professionals on The Grable Group list – you might find an unexpected fit for your event.